I’ve recently set up a Twitter account for Quantock Motor Services to enable folks to keep right up to date with news about the Running Weekend at the end of May. 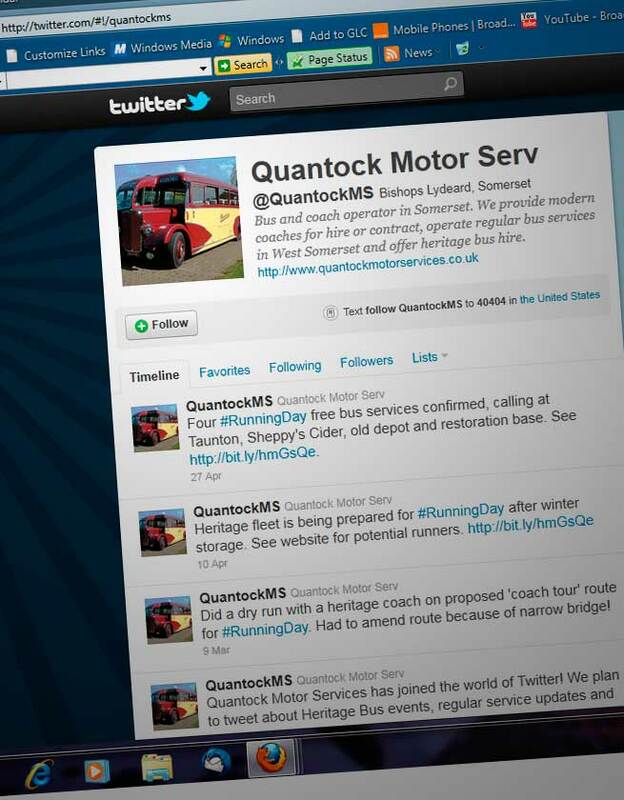 If you have a Twitter account, follow “quantockms” on your computer or mobile phone to receive updates. It will really come into its own during the week prior to the event and during the actual weekend (May 28th/29th). We plan to post snippets of news about final preparations, changes to timetables and other useful information. During the event, if you’re following us, you’ll be notified as soon as a change or delay happens. If for instance one of the buses becomes unavailable, we’ll post news of its replacement. If there’s a delay to a service, we’ll try to post information as soon as possible. This is a bit of a trial, as the person doing most of the updates will also be the Depot Despatcher, a very busy person! Full details about the weekend (I’m conducting on the Saturday) are on the Quantock website. If anyone is interested, I’m currently selling a spare bus conductor’s leather cash bag and a Tilling Group winter uniform overcoat. They are both surplus to requirements and it’s only right that they should go to someone who can get some use out of them. The cash bag is listed on Ebay here. It is a very sturdy 2-compartment bag, made from thick leather by a maker in Wales. 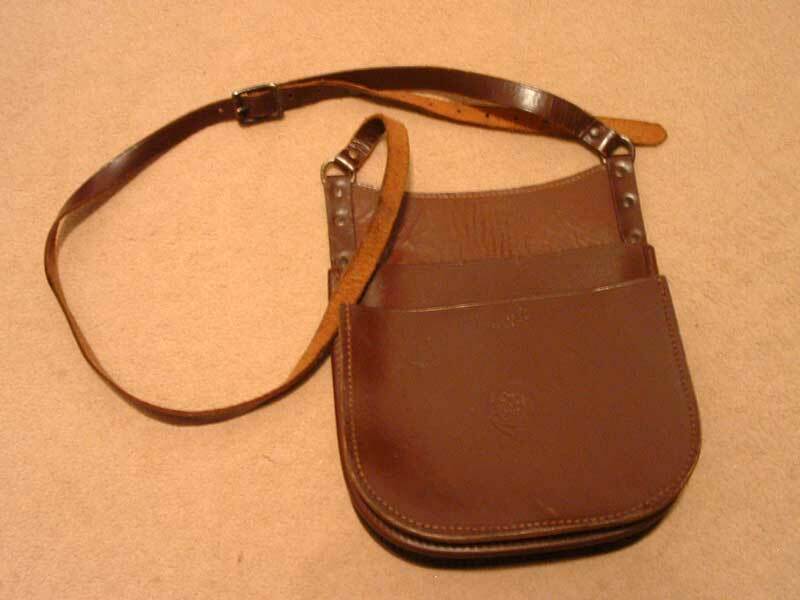 I have used it on ‘Exmoor Explorer’ duties in the past, before I acquired a more useful 3-compartment bag. The overcoat is a genuine Western National item and is listed on Ebay here. I picked it up in person from an old WNOC crew member in Plymouth and it’s in really good condition. 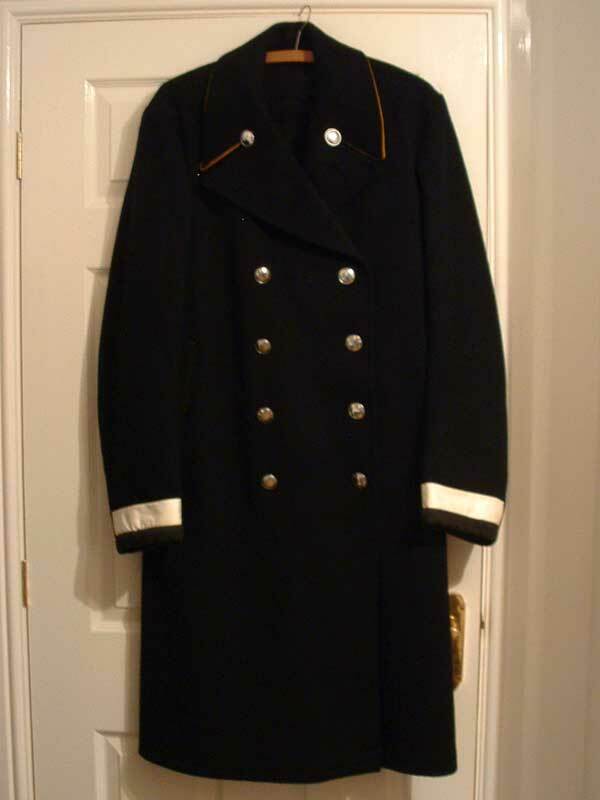 I have another overcoat, identical to this one but in mint condition. You can guess which one I’m going to keep! At the time of writing there are only 2 days to go before the end of the auction so, if you’re interested, get in quick! Comments on this blog are currently closed but I may re-enable this feature later. Well, it all came to a juddering halt today. As the week progressed my driving improved but my stress levels went up and today I suffered a dizzy spell while driving down to the coach depot. Not a good sign. So I decided that my health was more important than a PCV licence and cancelled myself from the course and the test. My thanks go to all those who have followed my adventure in the blog, particularly those who have left encouraging comments. At long last my PCV practical training has begun. After several false starts, I’ve spent the last 2 days training to pass my PCV driving test. The vehicle I’m using is a Bova FLC12.280, if that means anything to you. I’m not sure what engine it has but it’s more powerful than any heritage bus I’ve driven! More importantly, it’s 8′ 2″ wide and about 40′ long, quite a beast. My test will be taken in Plymouth so all of my training will take place there. I met my instructor, a cheerful chap called Martin, at a small coach depot on the outskirts of Plymouth. It turns out that he passed his PSV test on exactly the same ex-Hants & Dorset Bristol Lodekka that I drove in Exeter all those years ago, with Devon General’s instructor Bill Porter too! What a small world. I’m not training alone, there are two of us. 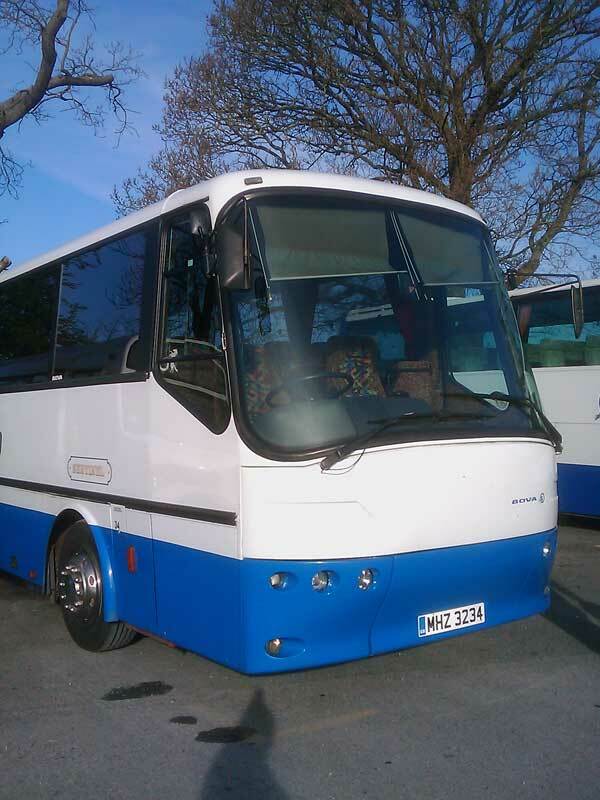 David is also learning and is hoping to drive a community bus in the South Hams. He doesn’t have the advantage of having driven buses before, which I do. Even though I’ve only driven heritage buses (apart from my assessment sessions), those experiences have taught me a great deal and I’ve made good progress as a result. PCV practical test next week! 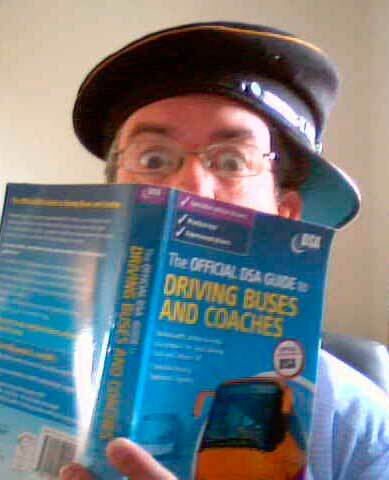 Yes, I’m revising for my PCV (bus driver) Practical Test, which I’m due to take next Friday. It’s nearly a year since I took my Theory Test so I need to recall all the stuff I learned last year. Not that I’ll be tested on my knowledge of theory, but it informs my judgement and decision-making out on the road. Am I nervous? You bet I am! Although it’s not rocket science, I will still be apprehensive as I undergo 5 days of intensive training next week in Plymouth with my test on Friday. I suppose I’m fortunate in that I’ve driven buses a few times already and I’ve had 2 assessment sessions in a coach which will set me up nicely for the final lap. Wish me luck!